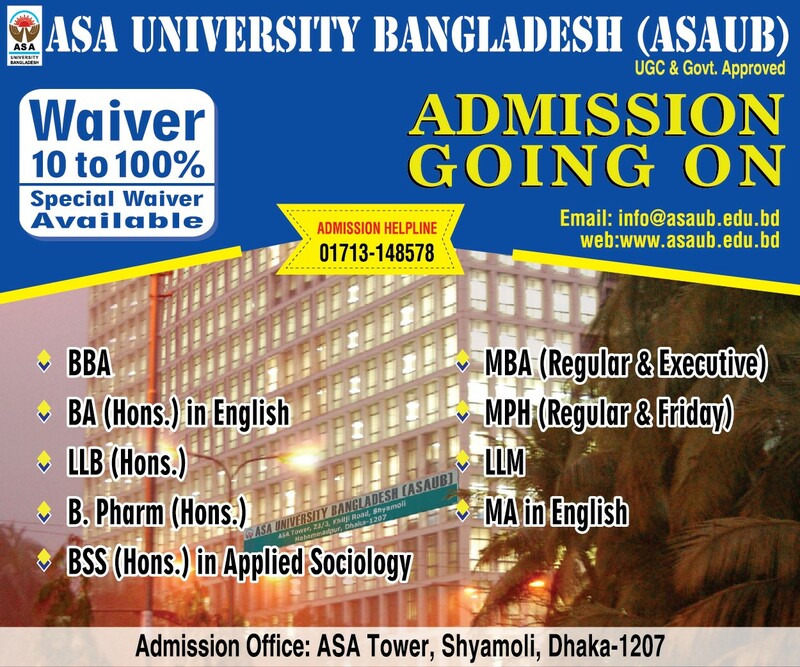 ASA University Bangladesh (ASAUB), United Nations Information Centre, Dhaka and UN Office for the Coordination of Humanitarian Affairs (UN OCHA) jointly organized a seminar and interactive discussion on World Humanitarian Day on 19 August 2014 at ASA University Bangladesh premises. This year, the slogan of the World Humanitarian Day is `The World Needs More Humanitarian Heroes�. Mr. Gerson Brandao, Sr. Humanitarian Affairs Advisor, UN OCHA was present as the Chief Guest while Professor Dr. Dalem Ch. Barman, Vice Chancellor of ASAUB presided over the event. 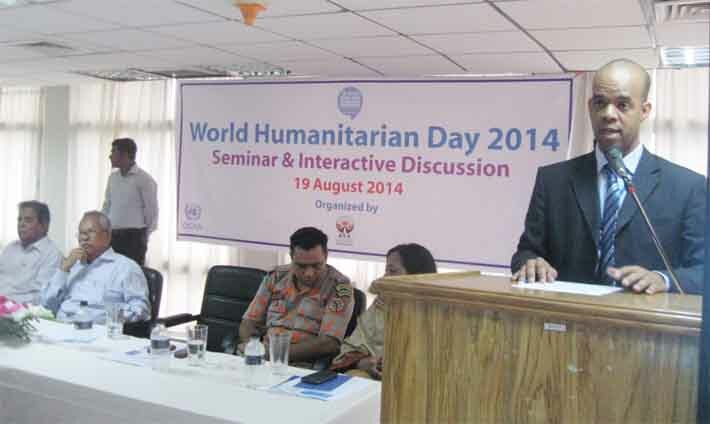 Mr. M Moniruzzaman, Office-in-Charge, UNIC Dhaka read out UN Secretary-General�s message on the World Humanitarian Day. Mr. Mozharul Haq, General Secretary, Bangladesh Red Crescent Society, Mrs. Murshida Akter, Humanitarian Program Manager, OXFAM, Mr. Muhammad Mamun, Sr. Staff Officer, Fire Service & Civil Defence, Prof. Dr. Abu Daud Hasan, Dean, Faculty of Arts & Social Science, ASAUB, Prof. Dr. AB Siddique, Dean, Faculty of Law were present in the seminar and delivered their valuable speech. Mr. Md. Khalekuzzaman, Registrar, ASAUB delivered welcome speech in the program. In the discussion, the speakers told that Bangladesh has been facing natural disaster frequently. We are facing natural calamities as well as manmade disaster. On the other hand Bangladesh is a densely populated country. So, we need to be careful about the disaster. They said that it is necessary for everybody to be a volunteer through disaster management training. The discussants also addressed on the training of disaster management to the community people. The speakers urged to the students to come forward for working in adverse situation on humanitarian ground. Representatives from OXFAM, Bangladesh Red Crescent Society and Bangladesh Fire Service & Civil Defence highlighted the activities of their respective organizations. Two volunteers who worked during Rana Plaza tragedy also spoke in the program. A question and answer session was also held in the second part of the seminar. Deans and Chairmen from different faculties and departments, Additional Registrar of ASAUB, teachers and students participated in the program.